There is more than one way to eat a low carb diet, in fact there are many variations. In this article I will outline three approaches including (1) a low carb high protein, similar to a Paleo diet as promoted by Dr. Ted Naiman and Dr. Tro Kalayjian (2) a low carb high fat approach, as promoted by Dr. Jason Fung and (3) a higher protein lower fat intake during weight loss, then a moderate protein high fat intake during weight maintenance, as promoted by Dr. Stephen Phinney and Dr. Jeff Volek. One proponent of a low carb high protein lifestyle is Dr. Ted Naiman, a board-certified family medicine physician who practices in Seattle, Washington. His videos on the subject of insulin resistance filmed at low carb conferences had a profound impact on me when I first adopted a low carb lifestyle in March of last year. 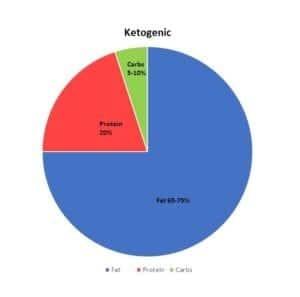 On the popular low carb site, Diet Doctor, Dr. Naiman oulines how much fat, protein and carbohydrates he believes that a person should eat on a low carb ketogenic diet, depending on whether they are doing it for weight loss or weight maintenance. For someone seeking fat loss, Dr. Naiman recommends ~120 gm of protein, ~30 gm of net carbs, ~120 gm of ‘whole food fats’ (fat found naturally in food) and ~30 gm of added fat (such on top of vegetables, salads and cooking). 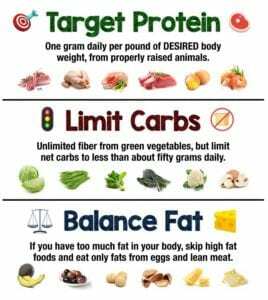 He bases his protein calculations on 1 g protein per pound of ideal (or desired) body weight, while keeping net carbohydrate as low as possible and eating whole food fats (fats inherent with meat, fish or poultry) but avoiding added fat, if trying to get leaner. To the left is an illustration he recently posted on social media. But how much food does one have to eat to get 120 gm of protein? A lot as you’ll see below. 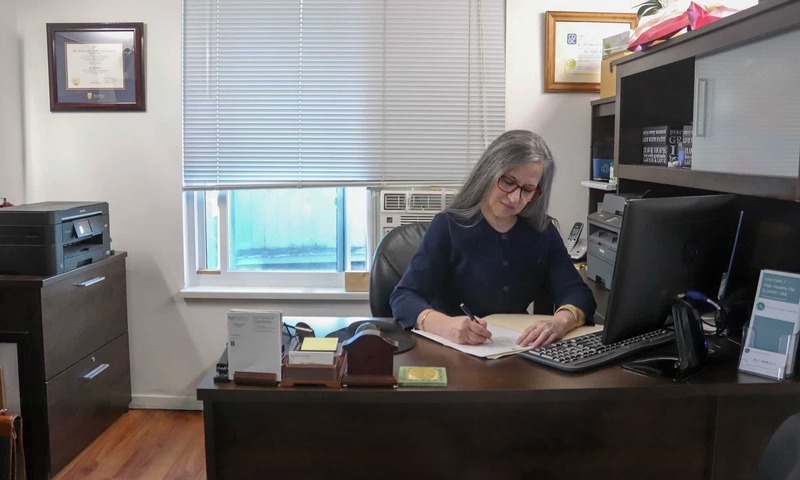 Another proponent of a low carb high protein approach is Dr. Tro Kalayjian, a board certified Internal Medicine physician who currently practices in Greenwich, Connecticut. He lost 145 pounds over a two-year period following a low carb high protein diet and like Dr. Naiman does a great deal of high intensity interval training (HIIT) and resistance training (RT). Dr. Kalayjian does ~10 hours of HIIT and RT training a week with a goal of increasing muscle mass (hypertrophy) and body recomposition, so what he eats himself is very different than what he recommends to his patients. He eats 200-350 g per day when doing heavy weight training, trims his meats and doesn’t eat the skin, and eats a variety of nuts and uses olive and avocado oil as desired. Dr. Kalayjian recommendations to his patients however depends on (1) what their goal is, (2) what their current medical / metabolic status is and (3) any lifestyle details that will impact their dietary requirements. Three eggs at breakfast would only supply less than 19 gm of protein. Four pork link sausages would supply another 10 gms of protein. He’d only have eaten less than 30 gms of protein. Eating a 340 gm (12 oz) broiled beef steak at lunch-time would add another 77 gms of protein. After these two meals, he would have eaten 106 gms of protein and be only a little over half-way to his minimum protein goal and less than a third the way to his upper range of protein. Let’s say he decided to eat 1/2 a large salmon i.e. 340 gm (12 oz) for supper, that would add 67 grams of protein. Adding up all the protein so far, he would have only eaten 173 gms of protein, so he’d have to fry up 4 more eggs to make his 200 gm of protein to meet his minimum protein requirement. This is what Dr. Naiman’s 120 gm of protein would look like, broken up over a day. Three eggs for breakfast would supply <20 gm of protein and eating 227 gm (8 oz) of beef at lunch would provide 50 gm of protein, so the person would need to eat another 227 gm (8 oz) of beef at supper just to make their 120 gm of protein for the day. Now, remember, this is for an individual whose ideal body weight is only 120 pounds! This approach may be quite appealing to some, but is eating higher protein in the range of 120 gm per day) appropriate for most people? The Recommended Daily Intake (RDA) for protein is only 56 gms per day – which represents the minimum requirement that individuals need for health and people in both Canada and the US are eating only 70 gms of protein per day (barely over the minimum requirement) but is this optimum? Some very prestigious nutrition experts think not. More on that in a series of upcoming articles. One of the popular proponents of a high fat approach is Dr. Jason Fung, a Toronto-area nephrologist (kidney specialist). His approach is reflected in the blogs he has been writing since 2013 as part of the Institute of Kidney Lifescience Technologies (www.kidneylifescience.ca), which have since become the basis for his Intensive Dietary Management (IDM) Program, based out of Toronto. From what I gleaned back from my early days reading all of his first two years of his blogs (Aug 2013- May 2015) and many since, Fung promotes a diet which is a maximum of 20-30 gm of net carbohydrate (gross carbohydrate content minus fiber) per day, a maximum of 75 gm of protein per day (~20 gm of protein at each meal), with the remainder of intake as a variety of fats. Fung does not promote the use of “fat bombs” popularized with the “Bulletproof Diet” written by layman “biohacker” Dave Asprey, but encourages the eating of fat that comes naturally in food; such as the skin on poultry, the visible fat on meat and the yolk of eggs plus a total of 70 gm of added fat per day for satiety (feeling full). Dr. Fung’s recommendations seem to be roughly 5-10% net carbohydrate with about 75% fat and 20% protein. a 16-hour fast begins from the end of supper the previous night, until lunch the following day. That is, only breakfast isn’t eaten. A 24-hour fast begins from the end of supper the previous night, until supper the following day (i.e. one meal). A 36-hour fast begins from the end of supper the previous night and no breakfast, lunch or dinner is eaten the following day, with the fast broken at breakfast the next day. A 42-hour fast is like the 36-hour fast, except people fast until lunch on the day following the fast. If you are considering engaging in any intermittent fasting protocol, please discuss this with your doctor first. Dosages of medication for blood sugar and blood pressure very often need to be adjusted downwards with regular short fasts and this can only be done by your doctor. It’s important to note that Fung’s “fasts” are not water-only fasts, but allow the drinking of protein-rich ‘bone broth*’ , as well as other beverages. NOTE: An article on making a 18 hour bone broth along with nutritional analysis is located here. Dr. Stephen Phinney MD, PhD, a medical doctor and Dr. Jeff Volek, RD, PhD a Registered Dietitian have decades of combined scientific and clinic research experience in the area of low carb diets and in 2011 published their expert guide titled The Art and Science of Low Carbohydrate Living  documenting the clinical benefits of carbohydrate restriction. They promote a low carbohydrate diet that is higher protein during the weight loss phase only, but the level of protein they recommend is nothing near the levels that Dr. Naiman and Dr. Kalayjian encourage, but still as I will outline below, it still requires a large quantity of protein foods to be eat daily. In the induction and weight loss phase using Phinney and Volek’s approach, protein is ~30% of caloric intake but decreases to ~21% of caloric intake following weight loss, during weight maintenance. Fat is 60% of calories during the weight loss phase and 65-72% during weight maintenance. Carbohydrate intake is kept very low (7.5-10% of calories for men, 2.5-6.5% of calories for women) and this induces nutritional ketosis. The amount of mathematical calculations required for the average individual to follow Phinney and Volek’s method is, at the very least, daunting. The amount of fat in grams and carbohydrate in grams needs to be calculated initially during induction and recalculated for weight loss, then recalculated again during pre-maintenance and maintenance. In addition, as the person’s weight decreases, the number of grams of fat and carbohydrate also needs to be recalculated. The amount of protein that must be eaten on an ongoing basis is another challenge to their approach. Ironically, even though Phinney and Volek encourage eating more protein than fat during weight loss, they write about “human protein tolerance”, including the “lethargy and malaise” that occurs when more protein than fat is eaten on a regular basis, along with the feeling of being “sick to the stomach” [3, pg. 210]. They also point out that there seems to be a physiological upper limit of protein intake of 20-25 gms per meal, after which skeletal muscle is no longer synthesized with additional intake. Phinney SD, Volek JS, The Art and Science of Low Carbohydrate Living: An Expert Guide, Beyond Obesity, 2011, page 210. For the first few years of my low carb practice, my starting approach (for those without hereditary cholesterol or triglyceride issues) was closer to Dr. Fung’s approach than to either of the others, with several modifications. One of those modifications is around the types of fat that are central in the diet. Like Fung, I encourage people to eat fat that naturally comes with food (egg yolk, for example) but I don’t encourage the amount of saturated fat that many of his blogs reflect. I encourage my clients to consider rich sources of monounsaturated fats such as avocado, nuts and seeds and their oils as their primary fat source with omega-3 poly-unsaturated fat from fatty fish such as salmon, tuna, mackerel and sardine, a close second. Another modification that I have made is that I encourage my clients to eat some cheese as it supplies a good source of calcium, that doesn’t have the anti-nutrients such as oxalates and phytates that are found in many calcium-rich vegetables. As I continue to read though the literature on the topic, I am tending to a higher protein and lower fat ratio with 1 g – 1.5 g per kg of ideal body weight, the carbs that come naturally with plenty of non-starchy vegetables and the fat that is found naturally in the lean fish, poultry and meat, with minimal added fat if someone is trying to lose weight. Based on a 2000 calorie per day diet, this would be closer to 30% protein, 60-65% fat, with 5-10% net carbs. Everybody’s needs are different, so what is best for one person may not be best for another. I also tend to think more protein during the weight loss phase such as Phinney and Volek suggest makes sense, with adjusting the amount of protein intake downward (to ~21-23% of caloric intake, based on 2000 calories per day) after weight loss has occurred. Sometimes which approach a person will take depends on factors such as food preferences, cooking skill and lifestyle factors and these need to be factored into people’s decisions. Some people, when they eat considerably more protein than fat feel nauseated. This finding of feeling “sick to the stomach” was referred to by Phinney and Volek and came from a study of prolonged meat diets in the early 1930’s. It is also supported from the traditional indigenous diets of the Inuit which Phinney and Volek pointed out “keep their protein intake moderate to avoid the lethargy and malaise that would occur if they ate more protein than fat” . There is no one “right” way to eat a low carb diet. What is appropriate for each individual depends on their clinical factors, as well as their personal preferences. There is no “one-size-fits-all” low carb approach. Keep in mind that no Meal Plan is ‘carved in stone’. Sometimes a client may start out with a higher fat approach but as they get closer to their goal weight, may reduce the amount of fat intake, so that they can take off the remainder of the weight. The flip side is true as well. Sometimes people start out with a higher protein intake and then as they reach their goal weight, they drop their protein intake down and increase their added monounsaturated fats. In any case, I make the process easy. After conducting a thorough assessment, I do the math required to design their Meal Plan, calculating their protein requirement based on their physiological needs and preferences and then distribute their fat and carbohydrate intake around that. Please send me a note using the “Contact Me” form above. Previous PostPrevious A Dietitian’s Journey Progress Report – is the glass half empty or half full?